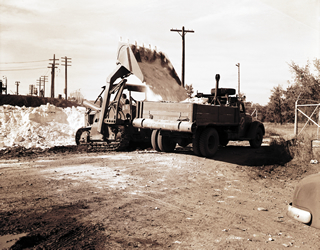 Eugene Coste builds a 270-km (168-mi.) 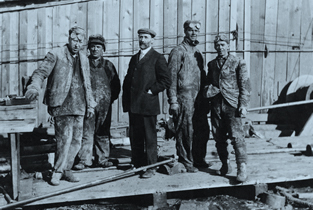 long pipeline, one of the longest and largest pipelines at that time, to carry Bow Island gas to Calgary and Lethbridge. 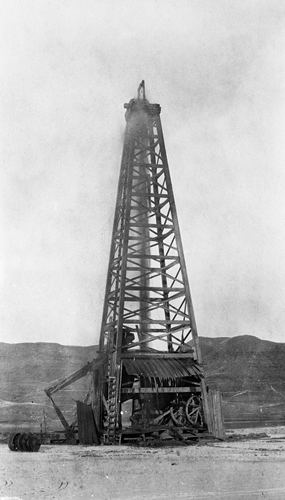 Natural gas wet with condensate is first discovered in the Cretaceous level at Turner Valley with the Dingman No. 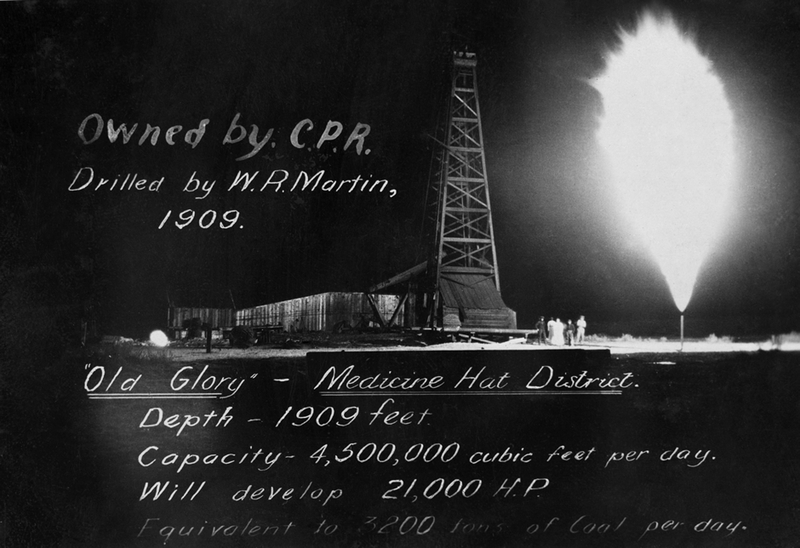 1 well by Calgary Petroleum Products, the company originally founded by William Stewart Herron. 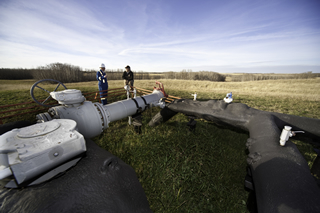 Edmonton finds a natural gas supply in Viking, Alberta, but delays development due to war-related anxieties. 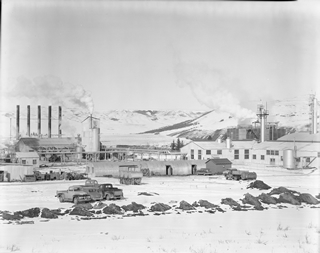 Royalite Oil Company Ltd., a wholly-owned subsidiary of Imperial Oil, gains entry to Turner Valley and begins an aggressive campaign to dominate petroleum production there. 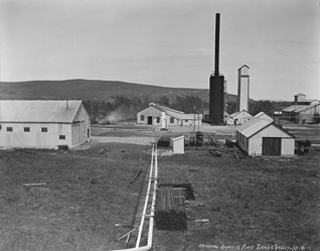 Edmonton, Alberta, receives its first delivery of natural gas from the Viking-Kinsella field that had been discovered in 1914. 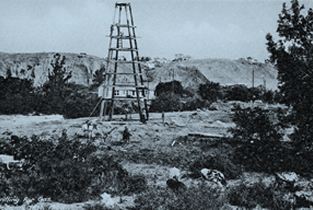 Royalite Oil punctures the gas condensate reservoir in the Mississippian rock formation at Turner Valley, and Royalite No. 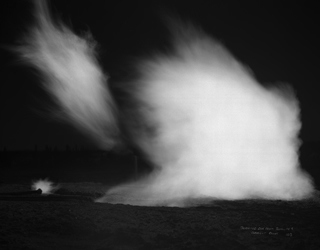 4 erupts in fire. 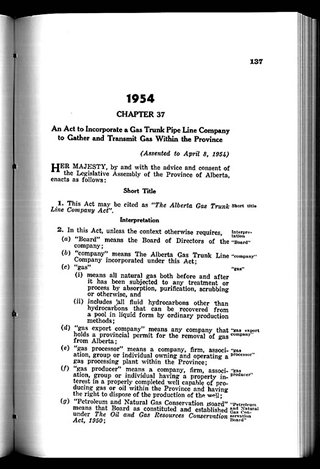 The Canadian federal government transfers control of natural gas and other natural resources to the provincial Government of Alberta through the Natural Resources Transfer Acts of 1930. 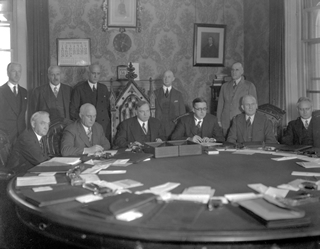 In December 1929, Mackenzie King signs natural resources transfer agreement prior to the passage of legislation in 1930. 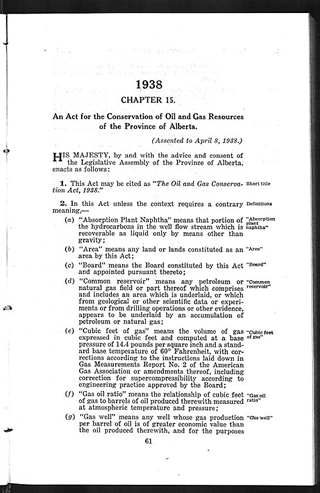 Oil and Gas Resources Conservation Act becomes law, and the Petroleum and Natural Gas Conservation Board, now the Energy Utilities Board, is formed as the regulatory authority for all gas and oil operations. The largest gas reservoir in Canada at the time of discovery, the Jumping Pound field becomes a symbol of the need to resolve the stalemate over whether or not Alberta should export its natural gas; without adequate markets, it remains shut in until 1951. Efforts to promote natural gas as a safe, clean alternative to coal help the market expand rapidly, and large-scale processing and pipeline projects are constructed to serve the growing market. But of course! Gas The Modern Fuel! 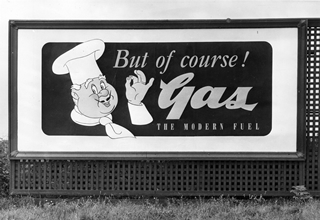 In the years following World War II, the development and use of natural gas skyrockets due, in part, to rigorous marketing. 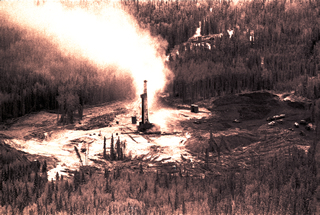 In 1952, facilities in both Turner Valley and Jumping Pound begin to convert the toxic hydrogen sulfide in sour gas into benign elemental sulfur, and by the 1970s Canada becomes the largest exporter of sulfur in the world. 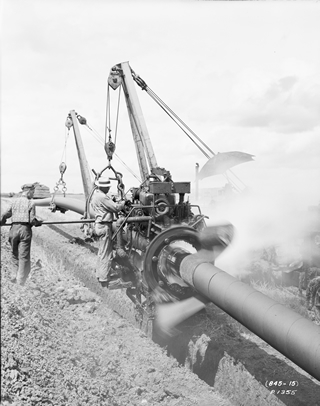 Alberta Trunk Line Company is established in order to gather and transmit Alberta’s natural gas for domestic consumption as well as for export outside of the province. 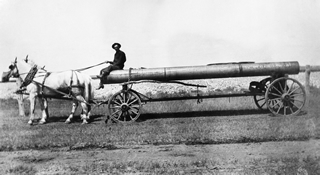 TransCanada Pipeline exports the first gas piped to eastern Canada over a single pipeline, longer than any other single length of pipeline in North America at that time. 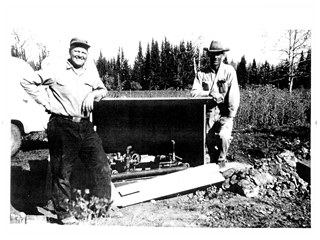 Tom Adams and Stan Jones found the Meota Gas Co-operative, the first in what becomes a widespread movement to provide gas service throughout Alberta’s rural areas. Prime Minister Trudeau introduces the national Energy Program (NEP), which sets prices for oil and gas well below international prices. 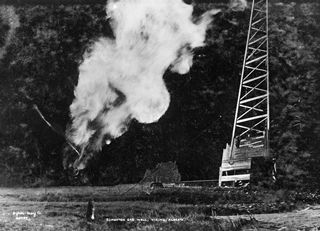 The Lodgepole sour gas blowout smells up the air for weeks, highlighting a growing conflict between the desire for economic development and the need to safeguard the public. As conventional sources of natural gas have matured and declined, the industry has increasingly focused its efforts on developing unconventional gas resources such as shale gas, tight gas and coal bed methane. 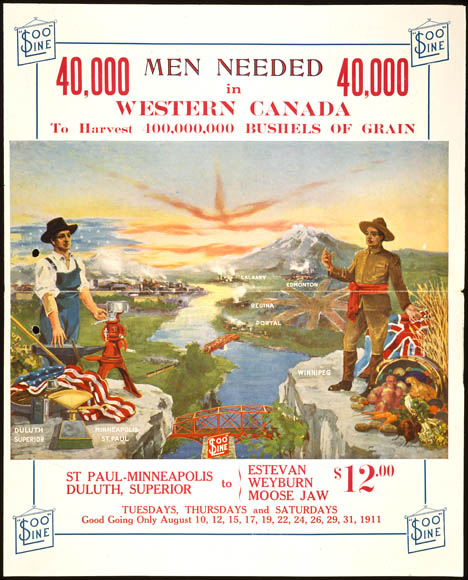 settlers, aided by the Canadian Pacific Railway, began their relentless westward march. 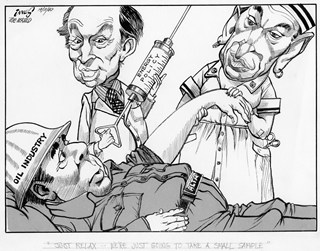 The aggressive immigration policies of Clifford Sifton, federal minister of the interior under Prime Minister Wilfrid Laurier and brother to Alberta premier Arthur Sifton, spurred a dramatic migration to the western prairies from Eastern Canada, the United States, Great Britain, and continental Europe. 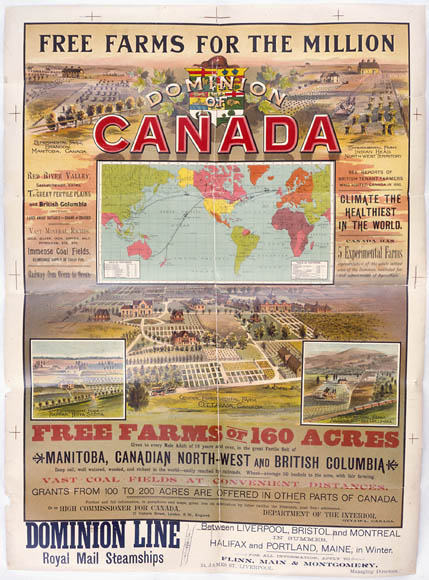 Attracted by the inexpensive farmland and expansive opportunities, settlers poured in, causing the population to explode, towns to pop up, railway lines to spread, land to be cultivated, and the region of Alberta to boom. sector, whose funds encouraged a construction boom and massive land rush. 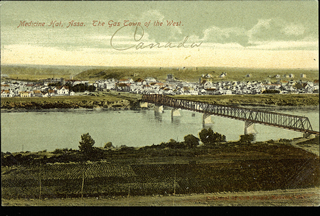 Many cities such as Lethbridge and Medicine Hat, grew steadily, while others, notably Edmonton and Calgary, exploded, and by 1912 Alberta’s prairies were crisscrossed by the steel arteries of three major railway systems: Canadian Pacific Railway, Canadian Northern Railway, and the Grand Trunk Pacific Railway. 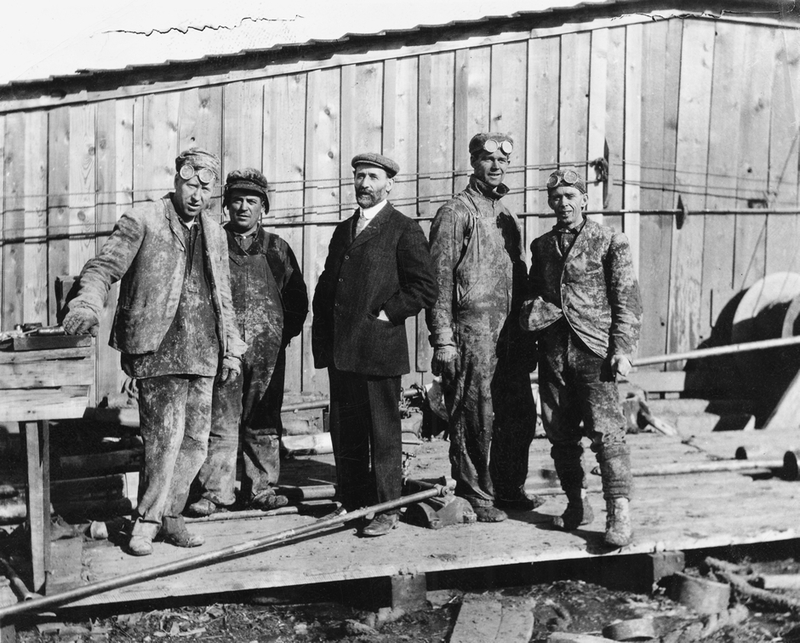 The onset of economic depression in 1913, however, made such giddy optimism but a memory. 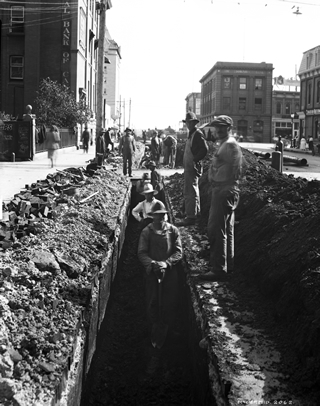 Investment dried up, and cities that had overextended themselves to attract population and industry faced drought, debt, and dashed hopes. 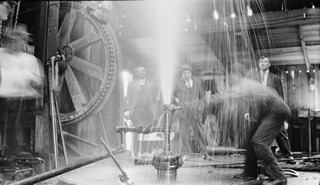 The Industrial Revolution was increasingly fuelled by gas. 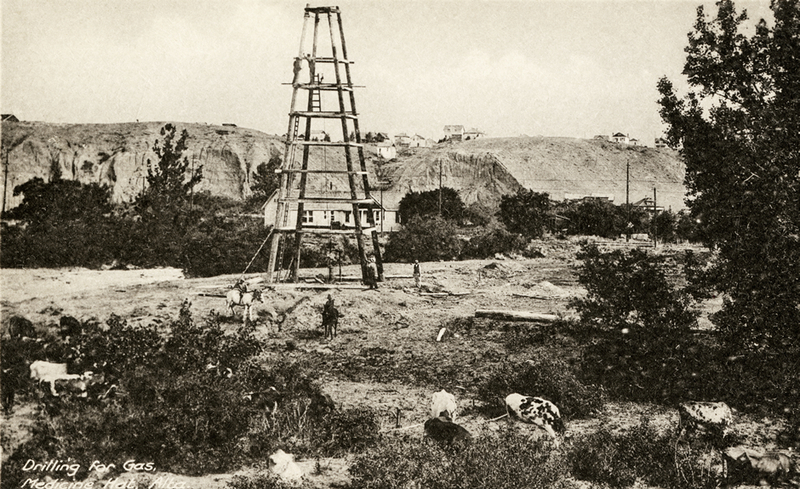 The difficulty of locating natural gas beneath the surface of the Earth meant that its discovery and use were often a matter of chance. 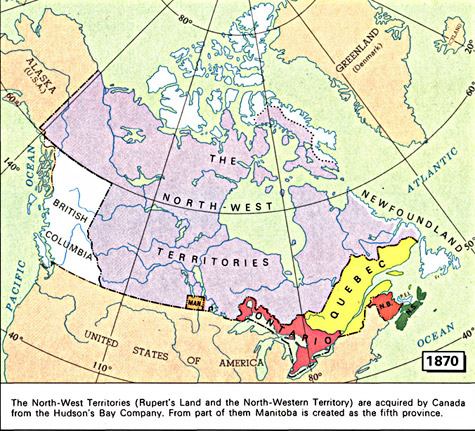 Although there were earlier discoveries of natural gas, the resource was not really exploited for human use in Canada until 1889.